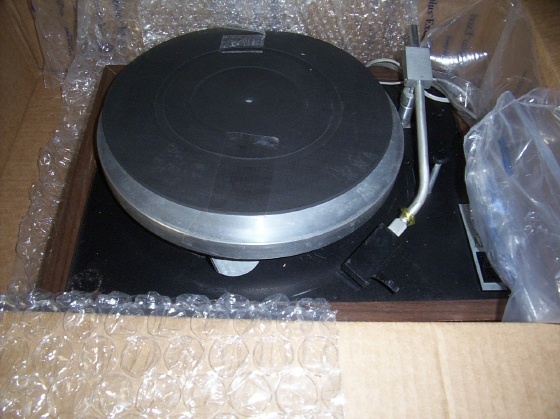 On these pages I will feature pictures of actual turntables I have received with outrageously poor packing. 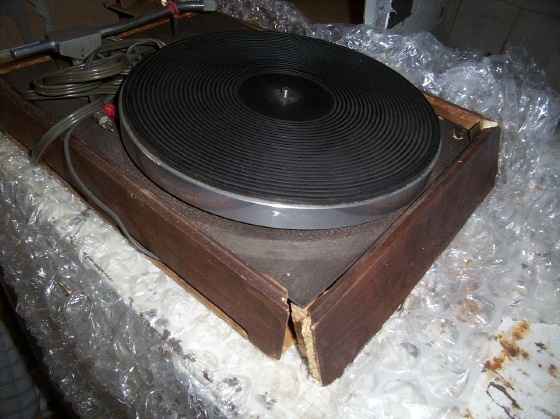 I offer this page as testimonial to what you risk when you buy from an inexperienced turntable packer on ebay or Craigslist. 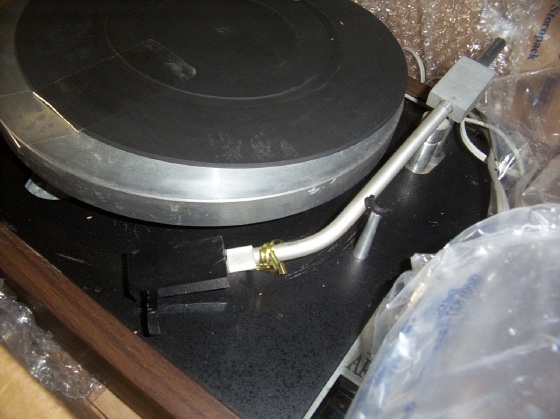 FYI…I always offer a seller my turntable packing instructions. Believe it or not, this is just in one month’s time frame! I get one to two DOZEN tables like this a year. In addition, I get another dozen with minor damage. 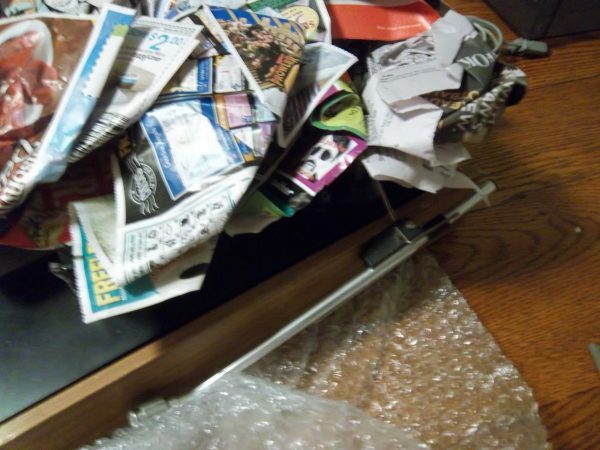 A hidden part of the value you get when buying from Vinyl Nirvana is the fact that we are the ones dealing with the upset sellers, inept packers, and incredulous shipping companies. Working to resolve these three damaged tables took probably an entire work week. 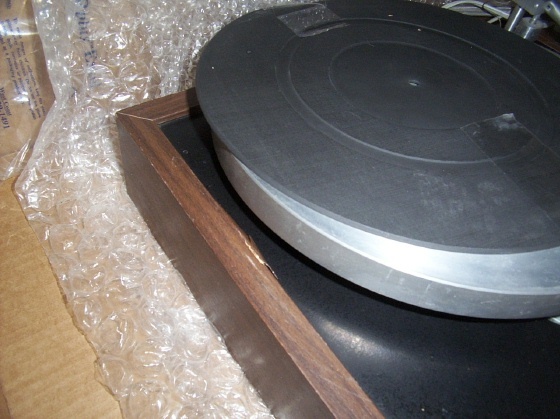 This first set of four pictures show a table that arrived in a box barely large enough for the turntable with only one piece of thin cardboard folded over for a “cushion” on each side! 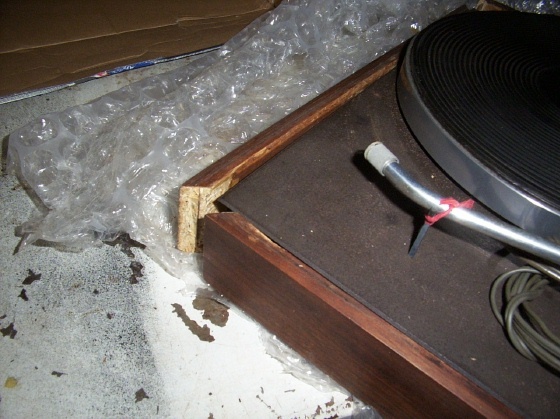 When I first saw the box, I thought “That’s too small to be a turntable, must be a box of Christmas gifts from my sister or my father.” Of course, the second I lifted the box and heard the contents shaking about loosely, I knew I had another damaged turntable on my hands. 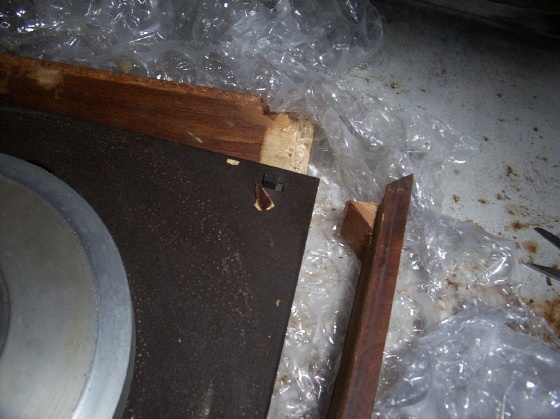 With no cushion, packed in a box just barely big enough, this is what happens to a turntable frame. The next seven pictures show an XB. The first one shows what I saw when I opened the box. Note the amount of space around the edges. 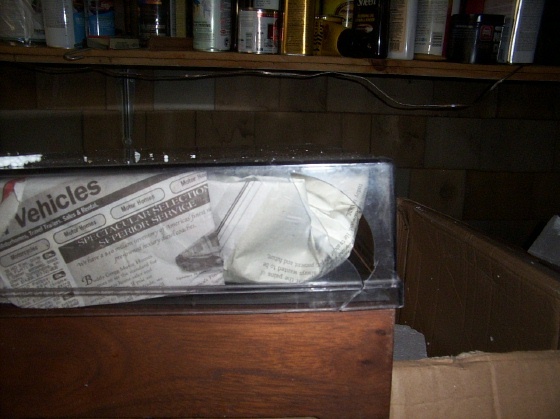 The photo is slightly cut off, but the seller left about three inches of open space so the table could just slide back and forth. This XB was an exceptional deal, especially since it came with an “almost new” Audio Technica AT440ML cartridge. 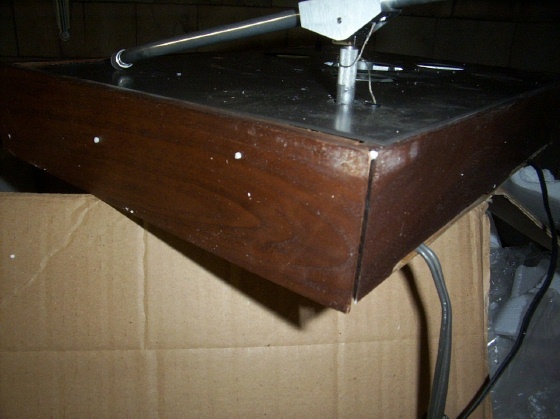 This seller obviously skipped physics class a lot. How could anyone expect a platter to remain in place as it traveled cross country? Believe it or not, this is the most common packing mistake I see. The platter. 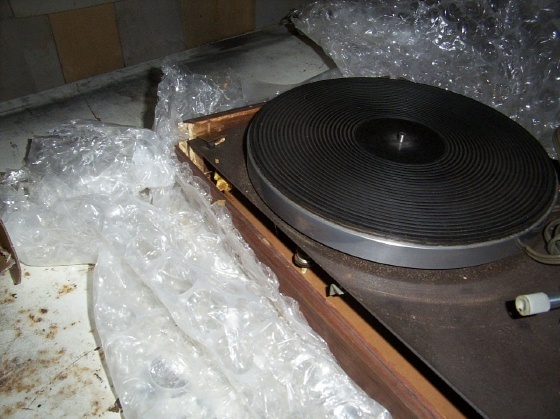 Ironically, they did tape the mat to the platter! 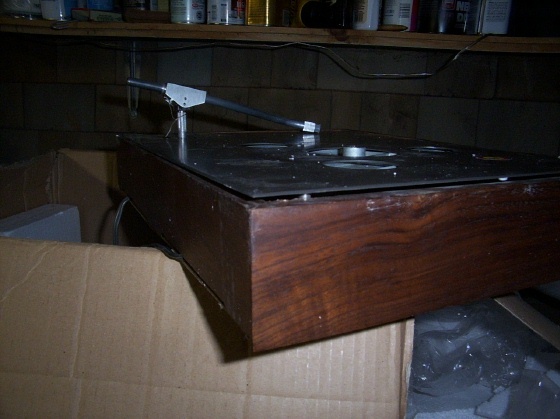 Seeing what a 2-4 pound platter bouncing around a box can do to a nice turntable is not for the faint of heart. So much for the “almost new” AT cartridge. Stylus is bent. The gouges and scrapes make it basically unsellable. 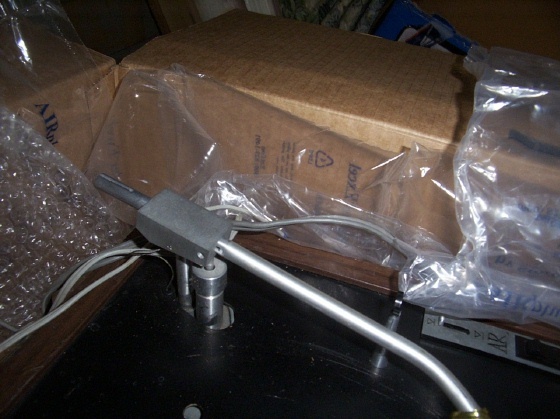 I haven’t tested the motor yet, but it will likely have a ruined bearing from the platter knocking it during shipment. 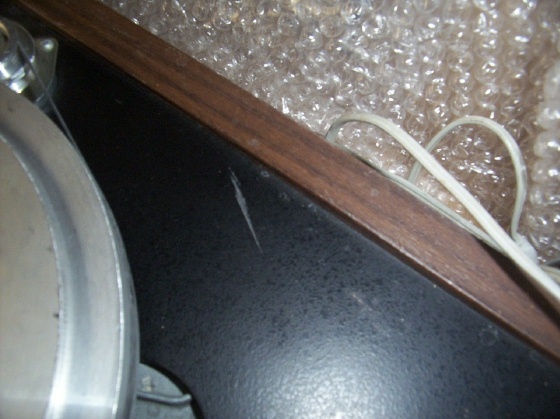 The next five pictures show an XA I paid a premium for because it had an unbroken dustcover. 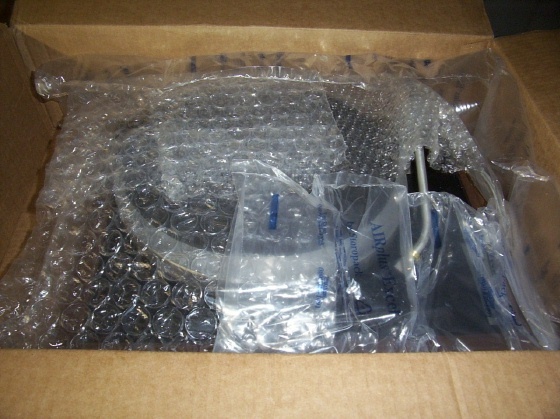 Of course I instructed the seller not to ship with the cover in place. That almost always results in damage. 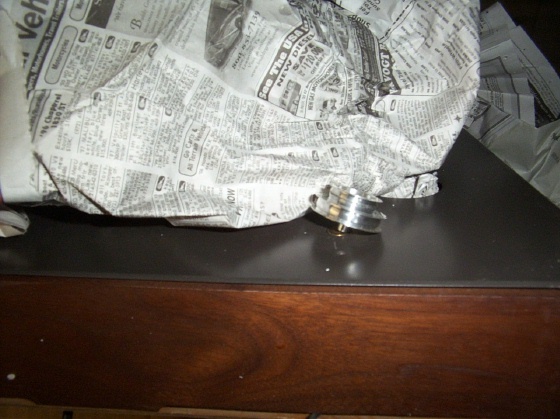 The table was just basically placed in a box with a small amount of broken foam and some newspaper. Another rare unbroken dustcover bites the dust. Sad. That’s not just the pulley, the loose platter actually sheared off the motor spindle! Not much salvageable from that shipping abortion. ...As well as the motor pulley. 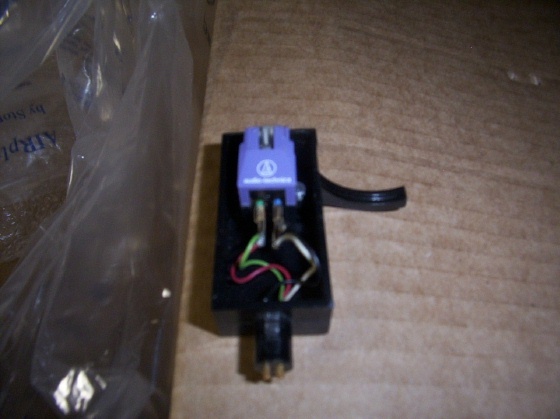 Seller quote: "Clearly our beloved post office is the problem here." No lie!